YUSUFALI: Thou art not, by the Grace of thy Lord, mad or possessed. PICKTHAL: Thou art not, for thy Lord's favour unto thee, a madman. SHAKIR: By the grace of your Lord you are not mad. PICKTHAL: And lo! thine verily will be a reward unfailing. SHAKIR: And most surely you shall have a reward never to be cut off. PICKTHAL: And lo! thou art of a tremendous nature. SHAKIR: And most surely you conform (yourself) to sublime morality. YUSUFALI: Which of you is afflicted with madness. PICKTHAL: Which of you is the demented. SHAKIR: Which of you is afflicted with madness. YUSUFALI: Verily it is thy Lord that knoweth best, which (among men) hath strayed from His Path: and He knoweth best those who receive (true) Guidance. PICKTHAL: Lo! thy Lord is Best Aware of him who strayeth from His way, and He is Best Aware of those who walk aright. SHAKIR: Surely your Lord best knows him who errs from His way, and He best knows the followers of the right course. YUSUFALI: So hearken not to those who deny (the Truth). SHAKIR: So do not yield to the rejecters. YUSUFALI: Their desire is that thou shouldst be pliant: so would they be pliant. PICKTHAL: Who would have had thee compromise, that they may compromise. SHAKIR: They wish that you should be pliant so they (too) would be pliant. YUSUFALI: Because he possesses wealth and (numerous) sons. SHAKIR: Because he possesses wealth and sons. YUSUFALI: When to him are rehearsed Our Signs, "Tales of the ancients", he cries! PICKTHAL: That, when Our revelations are recited unto him, he saith: Mere fables of the men of old. YUSUFALI: Soon shall We brand (the beast) on the snout! PICKTHAL: We shall brand him on the nose. SHAKIR: We will brand him on the nose. YUSUFALI: Verily We have tried them as We tried the People of the Garden, when they resolved to gather the fruits of the (garden) in the morning. YUSUFALI: But made no reservation, ("If it be Allah's Will"). SHAKIR: And were not willing to set aside a portion (for the poor). YUSUFALI: Then there came on the (garden) a visitation from thy Lord, (which swept away) all around, while they were asleep. SHAKIR: Then there encompassed it a visitation from your Lord while they were sleeping. YUSUFALI: So the (garden) became, by the morning, like a dark and desolate spot, (whose fruit had been gathered). PICKTHAL: And in the morning it was as if plucked. SHAKIR: So it became as black, barren land. YUSUFALI: "Go ye to your tilth (betimes) in the morning, if ye would gather the fruits." PICKTHAL: Saying: Run unto your field if ye would pluck (the fruit). SHAKIR: Saying: Go early to your tilth if you would cut (the produce). YUSUFALI: "Let not a single indigent person break in upon you into the (garden) this day." PICKTHAL: No needy man shall enter it to-day against you. SHAKIR: Saying: No poor man shall enter it today upon you. YUSUFALI: And they opened the morning, strong in an (unjust) resolve. PICKTHAL: They went betimes, strong in (this) purpose. SHAKIR: And in the morning they went, having the power to prevent. PICKTHAL: But when they saw it, they said: Lo! we are in error! YUSUFALI: "Indeed we are shut out (of the fruits of our labour)!" PICKTHAL: Nay, but we are desolate! SHAKIR: Nay! we are made to suffer privation. YUSUFALI: Said one of them, more just (than the rest): "Did I not say to you, 'Why not glorify (Allah)?'" PICKTHAL: The best among them said: Said I not unto you: Why glorify ye not (Allah)? SHAKIR: The best of them said: Did I not say to you, Why do you not glorify (Allah)? YUSUFALI: They said: "Glory to our Lord! Verily we have been doing wrong!" PICKTHAL: They said: Glorified be our Lord! Lo! we have been wrong-doers. SHAKIR: They said: Glory be to our Lord, surely we were unjust. YUSUFALI: Then they turned, one against another, in reproach. PICKTHAL: Then some of them drew near unto others, self-reproaching. SHAKIR: Then some of them advanced against others, blaming each other. YUSUFALI: They said: "Alas for us! We have indeed transgressed! PICKTHAL: They said: Alas for us! In truth we were outrageous. YUSUFALI: "It may be that our Lord will give us in exchange a better (garden) than this: for we do turn to Him (in repentance)!" PICKTHAL: It may be that our Lord will give us better than this in place thereof. Lo! we beseech our Lord. SHAKIR: Maybe, our Lord will give us instead one better than it; surely to our Lord do we make our humble petition. YUSUFALI: Such is the Punishment (in this life); but greater is the Punishment in the Hereafter,- if only they knew! PICKTHAL: Such was the punishment. And verily the punishment of the Hereafter is greater if they did but know. SHAKIR: Such is the chastisement, and certainly the chastisement of the hereafter is greater, did they but know! YUSUFALI: Verily, for the Righteous, are Gardens of Delight, in the Presence of their Lord. PICKTHAL: Lo! for those who keep from evil are gardens of bliss with their Lord. SHAKIR: Surely those who guard (against evil) shall have with their Lord gardens of bliss. YUSUFALI: Shall We then treat the People of Faith like the People of Sin? PICKTHAL: Shall We then treat those who have surrendered as We treat the guilty? SHAKIR: What! shall We then make (that is, treat) those who submit as the guilty? PICKTHAL: What aileth you? How foolishly ye judge! SHAKIR: What has happened to you? How do you judge? YUSUFALI: That ye shall have, through it whatever ye choose? PICKTHAL: That ye shall indeed have all that ye choose? SHAKIR: That you have surely therein what you choose? YUSUFALI: Or have ye Covenants with Us to oath, reaching to the Day of Judgment, (providing) that ye shall have whatever ye shall demand? PICKTHAL: Or have ye a covenant on oath from Us that reacheth to the Day of Judgment, that yours shall be all that ye ordain? SHAKIR: Or have you received from Us an agreement confirmed by an oath extending to the day of resurrection that you shall surely have what you demand? YUSUFALI: Ask thou of them, which of them will stand surety for that! PICKTHAL: Ask them (O Muhammad) which of them will vouch for that! YUSUFALI: Or have they some "Partners" (in Allahhead)? Then let them produce their "partners", if they are truthful! SHAKIR: Or have they associates if they are truthful. YUSUFALI: Their eyes will be cast down,- ignominy will cover them; seeing that they had been summoned aforetime to bow in adoration, while they were whole, (and had refused). PICKTHAL: With eyes downcast, abasement stupefying them. And they had been summoned to prostrate themselves while they were yet unhurt. SHAKIR: Their looks cast down, abasement shall overtake them; and they were called upon to make obeisance indeed while yet they were safe. YUSUFALI: Then leave Me alone with such as reject this Message: by degrees shall We punish them from directions they perceive not. PICKTHAL: Leave Me (to deal) with those who give the lie to this pronouncement. We shall lead them on by steps from whence they know not. YUSUFALI: A (long) respite will I grant them: truly powerful is My Plan. PICKTHAL: Yet I bear with them, for lo! My scheme is firm. SHAKIR: And I do bear with them, surely My plan is firm. PICKTHAL: Or dost thou (Muhammad) ask a fee from them so that they are heavily taxed? SHAKIR: Or do you ask from them a reward, so that they are burdened with debt? YUSUFALI: Or that the Unseen is in their hands, so that they can write it down? PICKTHAL: Or is the Unseen theirs that they can write (thereof)? 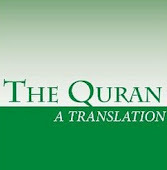 SHAKIR: Or have they (the knowledge of) the unseen, so that they write (it) down? YUSUFALI: So wait with patience for the Command of thy Lord, and be not like the Companion of the Fish,- when he cried out in agony. PICKTHAL: But wait thou for thy Lord's decree, and be not like him of the fish, who cried out in despair. SHAKIR: So wait patiently for the judgment of your Lord, and be not like the companion of the fish, when he cried while he was in distress. YUSUFALI: Had not Grace from his Lord reached him, he would indeed have been cast off on the naked shore, in disgrace. PICKTHAL: Had it not been that favour from his Lord had reached him he surely had been cast into the wilderness while he was reprobate. SHAKIR: Were it not that favor from his Lord had overtaken him, he would certainly have been cast down upon the naked Found while he was blamed. YUSUFALI: Thus did his Lord choose him and make him of the Company of the Righteous. PICKTHAL: But his Lord chose him and placed him among the righteous. SHAKIR: Then his Lord chose him, and He made him of the good. YUSUFALI: And the Unbelievers would almost trip thee up with their eyes when they hear the Message; and they say: "Surely he is possessed!" SHAKIR: And those who disbelieve would almost smite you with their eyes when they hear the reminder, and they say: Most surely he is mad. YUSUFALI: But it is nothing less than a Message to all the worlds. PICKTHAL: When it is naught else than a Reminder to creation. SHAKIR: And it is naught but a reminder to the nations.